Attire: Casual or your travel clothes if you have just arrived. Please note this is an outdoor venue. Attire: Casual. Please note this is an outdoor venue. Attire: Based on the activity, you will be advised to wear appropriate clothes. 6:30 p.m. – 12 a.m.
cocktail or floor length dress/pants or skirt suit for women. 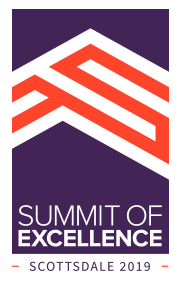 A more detailed agenda will be provided at the Summit of Excellence registration desk once you arrive at the hotel.